-	For nearly a century, groundwater pumping from Central California wells has caused some land to subside. -	Subsidence is an ongoing issue for state water managers. 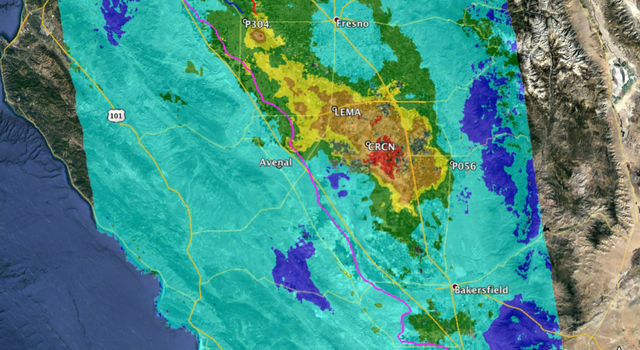 -	JPL is using radar remote sensing to identify areas that are subsiding fastest. Since the 1920s, excessive pumping of groundwater at thousands of wells in California's San Joaquin Valley has caused land in sections of the valley to subside, or sink, by as much as 28 feet (8.5 meters). This subsidence is exacerbated during droughts, when farmers rely heavily on groundwater to sustain one of the most productive agricultural regions in the nation. Long-term subsidence is a serious and challenging concern for California's water managers, putting state and federal aqueducts, levees, bridges and roads at risk of damage. Already, land subsidence has damaged thousands of public and private groundwater wells throughout the San Joaquin Valley. Furthermore, the subsidence can permanently reduce the storage capacity of underground aquifers, threatening future water supplies. It's also expensive. While there is no comprehensive estimate of damage costs associated with subsidence, state and federal water agencies have spent an estimated $100 million on subsidence-related repairs since the 1960s. To determine the extent to which additional groundwater pumping associated with California's current historic drought, which began in 2012, has affected land subsidence in the Central Valley, California's Department of Water Resources (DWR) commissioned NASA's Jet Propulsion Laboratory, Pasadena, California, to use its expertise in collecting and analyzing airborne and satellite radar data. 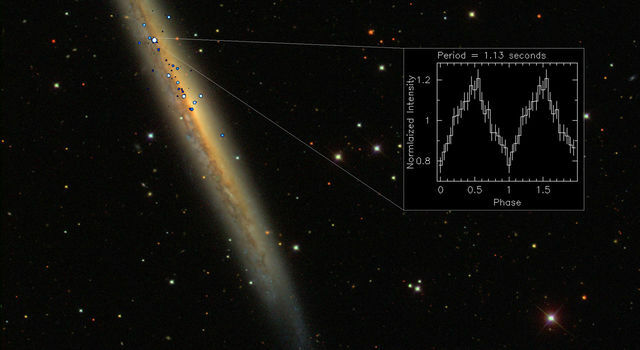 An initial report of the JPL findings (Aug. 2015) analyzed radar data from several different sensors between 2006 and early 2015. Due to the continuing drought, DWR subsequently commissioned JPL to collect and analyze new radar images from 2015 and 2016 to update DWR on the land subsidence. Several trouble spots identified in the first report continue to subside at rates as high as 2 feet (0.6 meters) a year. Significant subsidence was measured in two subsidence bowls located near the towns of Chowchilla, south of Merced; and Corcoran, north of Bakersfield. These bowls cover hundreds of square miles and continued to grow wider and deeper between May 2015 and Sept. 2016. Maximum subsidence during this time period was almost 2 feet (0.6 meters) in the Corcoran area and about 16 inches (41 centimeters) near Chowchilla. 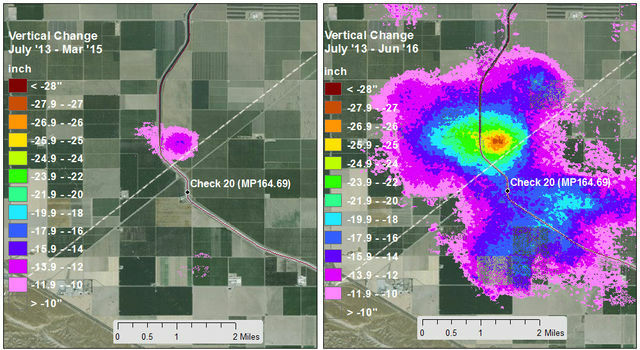 Subsidence also intensified near Tranquility in Fresno County during the past year, where the land surface has settled up to 20 inches (51 centimeters) in an area that extends 7 miles (11 kilometers). Subsidence in these areas affects aqueducts and flood control structures. Small amounts of land subsidence were also identified in the Sacramento Valley near Davis and Arbuckle. A small area observed for the first time in Sierra Valley, north of Lake Tahoe, shows about 6 inches (15 centimeters) of subsidence. JPL scientists plotted the history of subsidence of several sites in the mapped areas and found that for some areas in the San Joaquin Valley, subsidence slowed during the winter of 2015-16 when rainfall matched crop water needs. "While we can see the effect that rain has on subsidence, we know that we've run a groundwater deficit for some time, so it'll take a long time to refill those reservoirs," said JPL report co-author Tom Farr. The report update also examined California's South Central coast, including Ventura, Oxnard, Santa Barbara and north to the San Joaquin Valley, as well as the Santa Clara Valley. It found no major areas of subsidence in these regions, though a known area of subsidence in the Cuyama Valley was observed to have continued land subsidence. JPL report co-author Cathleen Jones said being able to pinpoint where subsidence is happening helps water resource managers determine why it is happening. "If you see a subsidence bowl, then something is going on at the center of the bowl that is causing the land to sink -- for example, high levels of groundwater pumping," Jones said. "We can locate problem spots so the state can focus on those areas, saving money and resources. We find the needle in the haystack, so to speak." To obtain the subsidence measurements, JPL scientists compared multiple satellite and airborne interferometric synthetic aperture radar (InSAR) images of Earth's surface acquired as early as 2006 to produce maps showing how subsidence varies over space and time. InSAR is routinely used to produce maps of surface deformation with approximately half-inch-level (centimeter-level) accuracy. The subsidence maps in the new report were created by analyzing satellite data from the European Space Agency's Sentinel-1A satellite from March 2015 to Sept. 2016, and from NASA's airborne Uninhabited Aerial Vehicle Synthetic Aperture Radar (UAVSAR) from March 2015 to June 2016. The new data complement the data used in the previous report from Japan's PALSAR (2006 to 2010), Canada's Radarsat-2 (May 2014 to Jan. 2015) and UAVSAR (July 2013 to March 2015). The high-resolution airborne UAVSAR radar mapping was focused on the California Aqueduct, the main artery of the State Water Project, which supplies 25 million Californians and nearly a million acres of farmland. The aqueduct is a system of canals, pipelines and tunnels that carries water 444 miles (715 kilometers) from the Sierra Nevada and Northern/Central California valleys to Southern California. The JPL report shows that localized subsidence directly impacting the aqueduct is ongoing, with maximum subsidence of the structure reaching 25 inches (64 centimeters) near Avenal in Kings County. As a result of subsidence in this area since the initial aqueduct construction, the aqueduct there can now carry a reduced flow of only 6,650 cubic feet (188 cubic meters) per second -- 20 percent less than its design capacity of 8,350 cubic feet per second (236 cubic meters per second). Water project operators must reduce flows in the sections that have sunk to avoid overtopping the concrete banks of the aqueduct. DWR, which operates the State Water Project, is analyzing whether the subsidence-created dip in the California Aqueduct will affect deliveries to water districts in Kern County and Southern California. If the State Water Project allocation is 85 percent or greater, delivery may be impaired this year due to cumulative subsidence impacts in the Avenal-Kettleman City area. The new NASA analysis also found subsidence of up to 22 inches (56 centimeters) along the Delta-Mendota Canal, a major artery of the Central Valley Project (CVP), operated by the U.S. Bureau of Reclamation. The CVP supplies water to approximately three million acres of farmland and more than two million Californians. Also of concern is the Eastside Bypass, a system designed to carry flood flow off the San Joaquin River in Fresno County. The bypass runs through an area of subsidence where the land surface has lowered between 16 and 20 inches (41 and 51 centimeters) since May 2015, on top of several feet of subsidence measured between 2008 and 2012. DWR is working with local water districts to analyze whether surface deformation may interfere with flood-fighting efforts, particularly as a heavy Sierra snowpack melts this spring. A 5-mile (8-kilometer) reach of the Eastside Bypass was raised in 2000 because of subsidence, and DWR estimates it may cost in the range of $250 million to acquire flowage easements and levee improvements to restore the design capacity of the subsided area. "The rates of San Joaquin Valley subsidence documented since 2014 by NASA are troubling and unsustainable," said DWR Director William Croyle. "Subsidence has long plagued certain regions of California. But the current rates jeopardize infrastructure serving millions of people. Groundwater pumping now puts at risk the very system that brings water to the San Joaquin Valley. The situation is untenable." 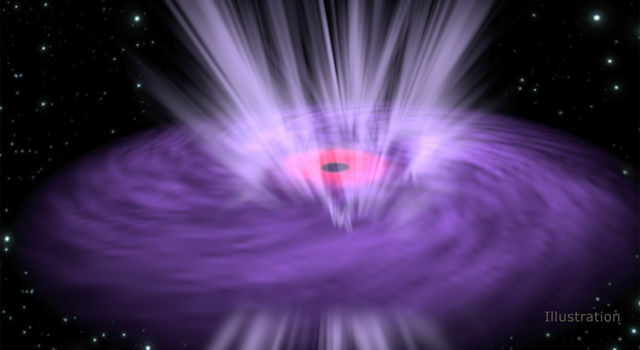 The upcoming NASA and ISRO (Indian Space Research Organisation) radar mission, NISAR, will systematically collect data over California and the world and will be ideal for measuring and tracking changes to the land subsidence associated with groundwater pumping, as well as uplift associated with natural and assisted groundwater recharge.